FORS satisfaction survey – the results are in! At the end of last year, we issued a survey to gather your feedback on FORS. The objective was to better understand what we can improve to meet your expectations. The results of the survey were positive, with 78 per cent of members that completed the survey feeling that FORS represents acceptable or good value for money, while 98 per cent of respondents are intending to maintain their FORS accreditation for at least 12 months. 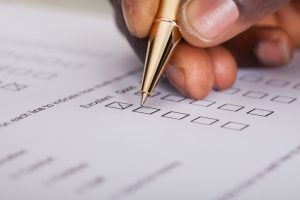 The survey also revealed that members are satisfied with the level of service at their audits, with 87 per cent rating their last FORS auditor’s knowledge as either good or very good. 86 per cent of members told us that their FORS auditor’s level of professionalism was good or very good and 84 per cent rated their last FORS auditor’s impartiality as either good or very good. Members have been making good use of the scheme’s free benefits too, with 89 per cent of members having made use of the FORS toolkits. Thank you to everyone who completed the survey and congratulations to our three winners – JSR Haulage, Gratte Brothers, and Colins Transport Ltd – each receiving a £50 Marks and Spencer voucher. The information collected from the survey will be used to ensure that FORS continues to improve existing benefits and to meet members’ business needs.